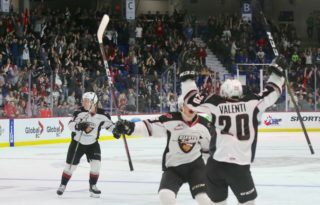 The Vancouver Giants have matched their win total from a season ago, and have done so in 18 fewer games. 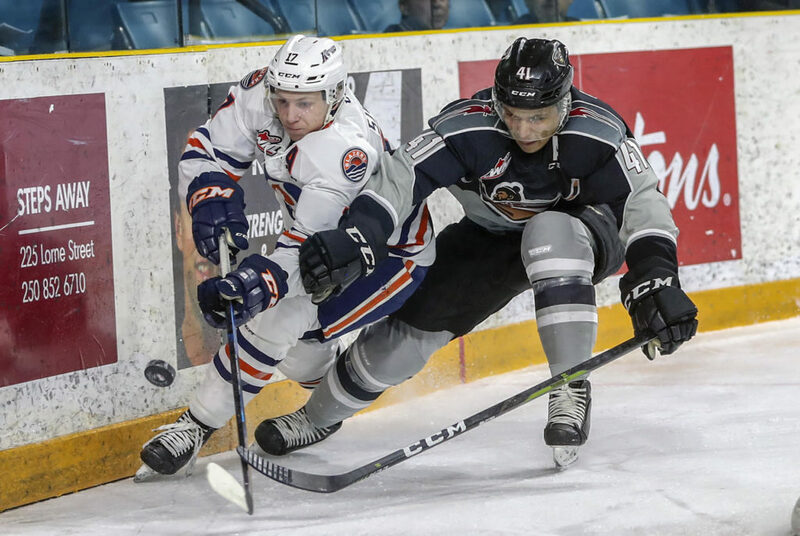 Friday night at the Sandman Centre in Kamloops the Vancouver Giants (36-13-2-1) earned a 3-1 victory over the Kamloops Blazers (20-26-4-1). Lukas Svejkovsky (1G, 2A), Tristen Nielsen (2G, 1A) and Jadon Joseph (2A) combined for eight points on the night while goaltender Trent Miner made 26 saves to earn his 19th win of the season. Connor Zary supplied Kamloops with their lone goal of the night while goaltender Dylan Ferguson made 31 saves. 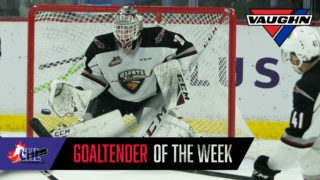 The win moved the Giants to within one point of the Everett Silvertips for first place in the Western Conference standings. VAN – At 16:07 of the opening period Lukas Svejkovsky (6) followed up on a Tristen Nielsen rebound and jammed it across the goal line to give the Giants a 1-0 advantage. Kaleb Bulych earned the second assist on Svejkovsky’s marker. KAM – 12:33 into the middle frame, Conner Zary snuck his 13th of the season through the legs of Trent Miner. VAN – Right as a power play had expired, Tristen Nielsen (8) notched his first of two goals on the night when he skated into the left-wing circle and one-timed home a feed from Jadon Joseph from behind the Kamloops net. Lukas Svejkovsky added the second assist on Nielsen’s first of two on the night. VAN – One minute and 58 seconds later Nielsen (9) struck again from virtually the exact same spot on the ice off of virtually the exact same pass from Jadon Joseph behind the net. Of course Lukas Svejkovsky earned the second assist on the play. Next Giants Game: Sunday afternoon at 2:00 PM against the Prince George Cougars at the LEC. With the win the Giants improved their road record to 16-8-1-0. With nine road games still remaining the Giants have already matched their road win total from last season. The Giants are now 20-3-1-1 against teams from the B.C. Division and are 10-1-1-0 on the road against division competition. In four games against Kamloops, Tristen Nielsen has now recorded three goals and five assists for eight points. He’s tied with Bowen Byram for the team lead in scoring against the Blazers. 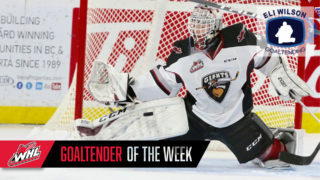 The Giants are now 5-0 against Kamloops this season and 2-0 against them on the road. 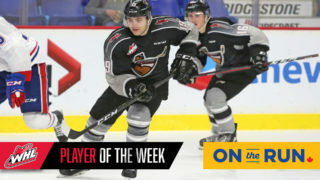 Giants captain Jared Dmytriw suited up in his 300th career WHL game on Friday night. He finished the game even on the night with two shots on goal.